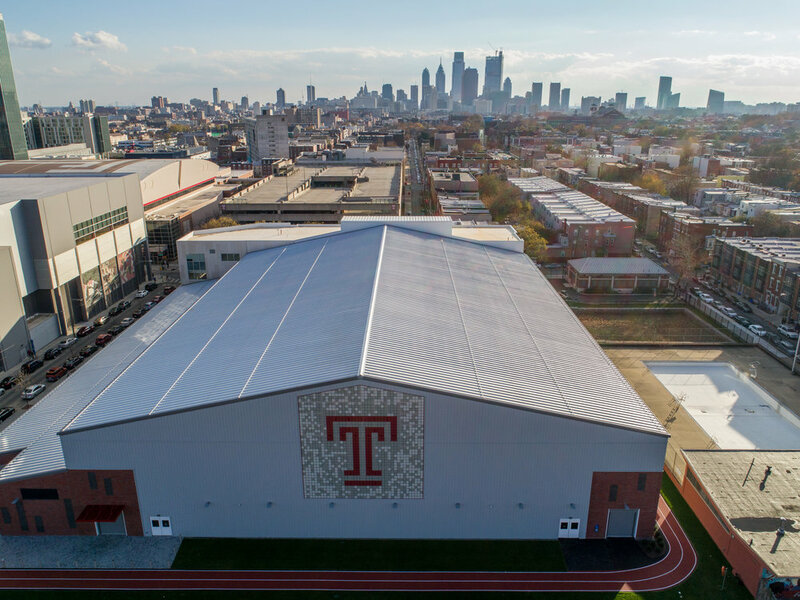 Shortly after work was completed on Temple University’s new Aramark Student Training and Recreation complex (or STAR), construction management firm E.P. Guidi asked Greg to document the building, both inside and out. Each photo is a story in itself, but when taken together a complete picture of this big new star on campus comes clearly into focus. A new 400-meter, 2-lane track encircles the facility. 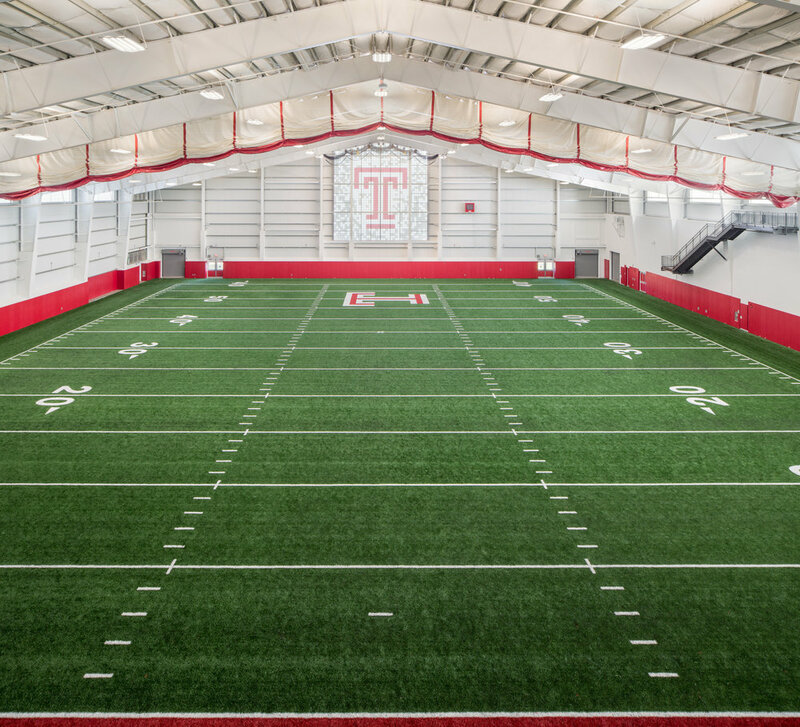 The Indoor Pavilion houses a 70-yard turf field. Capturing the detail in the stained glass logo window was of critical importance to the client. 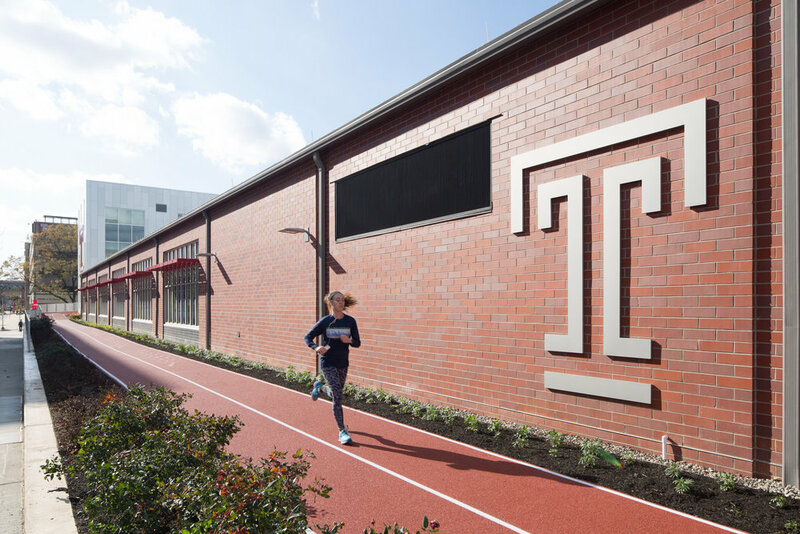 This multifaceted 110,000 square foot facility was designed with athletic facilities, clinical education space for various therapies and physical training, and state-of-the-art lecture and lab space. One of Greg’s key challenges was how best to showcase these relatively intimate spaces while at the same time capture the considerable enormity of the place. Greg and his team started on the inside, showing up early on a Saturday morning and setting up their shots before even the most devoted of athletes showed up. Tackling the exterior on a separate day, they took advantage of a beautiful blue sky and shot with multiple cameras at twilight. Greg’s trusty Phantom 4 Pro drone perfectly captured the scale and setting of the building. Greg pays a visit to a physical therapy classroom. Temple misses no opportunity to highlight their brand.